As Parliament closed for the Easter recess there was a sort of stunned silence that reigned over the precinct. It was as if the guns had gone silent following a truce declaration. Maybe it was because parliamentarians were looking at their piled-up in-trays as they left or were considering the legislative backlog that had built up and the long list of promises that had been made to get the country back on its feet. Nevertheless, the feeling that change was coming was palpable. At least in the last few weeks people were smiling and looking more cheerful, saying “good morning” to all and sundry – a pleasant habit of long ago which has now returned. The ambiance at portfolio meetings has improved dramatically with many a parliamentarian having to carry a lesser amount of political baggage. An improved atmosphere has also been noticeable in the National Assembly, despite hard debate on such issues as the Political Party Funding Bill and the motion for an early end to the next parliamentary session. Such issues would cause heated discussions between MPs, delegates and people’s representatives in any parliamentary forum worldwide but the angst and gloom caused by a feeling of helplessness has gone. The journey from the days when those two ridiculous men in gum boots, red hard hats and an old water pump tried to explain away the Nkandla swimming pool as a “fire pool”, lasting until the other day when everybody woke up to hear that the country had squeaked through with a Moody’s stable rating, has been a long and exhausting one. At one stage it seemed that scriptwriters were on the loose trying to dream up impossible situations for the next episode of a TV series. Film locations moved from Saldanha Bay one minute, to the Free State the next, and then to Gold Reef City; from 54 Sauer Street, Johannesburg to the Union Buildings in Pretoria; from the Constitutional Court, the British Houses of Parliament, Moscow, Dubai, to a chicken coop in the King Cetshwayo district of KwaZulu-Natal, and from a large domestic home in Saxonwold, possibly with a shebeen, to the steps of the National Assembly in Cape Town. All of this is impossible, it seemed. What could tomorrow bring that could possibly exceed yesterday? Now we hear from the Hawks that some nefarious types, who illegally trade in abalone, delivered at some stage a cartload of money to the gates of Nkandla to ensure the retention of a certain Cabinet minister. Who could possibly have written such an outlandish, disconnected and never-ending series of scripts? For the average South African, it has also been a highly expensive journey. Very few are better off because of the disasterous reign of Jacob Zuma, except of course a notable few who were pulling the strings. Most are worse off. It has been a disgraceful episode in the country’s history and the whole of the sordid story is sadly yet to emerge. 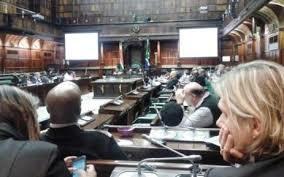 The news recently in the Portfolio Committee of Transport that the Transnet heist has paled the Eskom heist into insignificance brought up the awful thought of another round of endless parliamentary inquiries. But that cannot happen. It should be left to the Hawks. There is just not enough time in the diary and, in any case, with Parliament closing early for next recess who knows what will be further uncovered. The parliamentary programme is now far too behind for more navel gazing. There is much outstanding legislation needing urgent debate and coming up are the important issues of land reform, minimum wage finalisation, mineral resources charters, decisions on tolling principles, health crisis controls, and energy mix finalisation. Fortunately, we do not have a sitting President who will hold up legislation for personal reasons, as Jacob Zuma did with the FICA Bill. 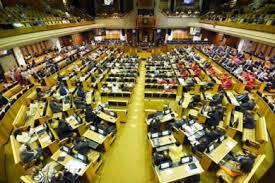 Parliament will now shut down its next and second of the year session earlier on June 18 and return later August 13 for the third session. With some 47 Bills to be processed by Parliament, this will be an embarrassment. Quite obviously the reason for an early constituency period is politically driven, a further backlash of the Jacob Zuma era. It could be a snap election. Who knows? It will now be hard task to deal appropriately with such key laws in draft including the Mineral and Petroleum Resources Development Amendment Bill, the Minimum Wage Bill, the Basic Conditions of Employment Amendment Bill, the Cybercrimes and Cybersecurity Bill as well as the Expropriation Bill, the Copyright Amendment Bill and the Critical Infrastructure Bill before June 18, but the delay has to be recognised as fact and put down to damage control. Despite all this, Parliament has preserved its status despite the political moves to challenge its structure. It has won the day in the separation of powers battle, despite losing a little of its dignity. It has become the battlefront for all that is right and the only real venue for its people to be represented, despite there being no real constituency system but only a party list process. But most important of all, the Constitutional Court was seen and heard to be arbiter of truth and good reason. This gives us every confidence that the land reform and restitution issue, an issue that was never going to go away, will be handled in the same manner with a good mix of common sense, fairness to all and proper application of the law. We remain positive. 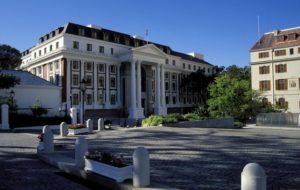 Cabinet hopes are Brown, Ramaphosa, Gordhan…..
Public Enterprises Minister, Lynne Brown, reports that she is to introduce as a cabinet draft, the Shareholder Management Bill as part of a plan to introduce leadership ability and some form of continuity for the state owned enterprises (SOCs) under her control. This includes Eskom, Transnet, Denel, SA Express, Alexkor and Safcol. We hope this is the start of something big. The last few weeks have been an exercise in disaster, so let’s try and take a positive spin on things from a parliamentary viewpoint. Whilst troubled SAA is now an independent, falling under National Treasury and if President Zuma minds his own business, Minister Pravin Gordhan is to sort out National Treasury itself and also the troubled SARS, which he re-designed in the first place and which became such a success working with Trevor Manuel. Meanwhile, PetroSA is in real deep water falling, the entity falling under Central Energy Fund (CEF) reporting to Department and Energy (DOE). With Minister Joemat-Pettersson not back from COP21 or wherever, the country still faces some serious energy issues. But at least the PetroSA problem is now all in the open, with somebody obviously having to take over the reins and the mess, probably CEF itself. In addition, the Passenger Rail Association (PRASA) is very much on the slippery slope and, together with SANRAL, both present highly contentious transport issues which are now in the hands of Minister Cyril Ramaphosa to untangle. Troubling times indeed. Now Minister Lynne Brown appears to be getting the senior management of her portfolio under control and whilst we could still have shutdowns at Eskom she says, because “machines can break down unexpectedly”, the leadership is there she says, as is the case with her Denel. Lynne Brown recently reported that there are around 700 SOCs, an extraordinary fact, but bearing in mind the fact that South Africa is reputed to have the largest head count in public service per population count, this would appear quite possible. An essential element of Minister Lynne Brown’s plan is to remove the appointment to the boards of the entities under her domain away from cabinet and Ministers, including herself, to a shareholder management team that creates a leadership operational plan for all SOCs and appoints, through due process, a tightly run appointment book. Whilst the proposals might look like state control, in fact it is a clear signal that government may have heard the message that the current system of Ministers appointing board members is not working, is open to abuse and what is worse, the consequent “jobs for the boys” system results in taxpayer’s money being thrown away through bad management, corruption and what the auditor general calls “useless and wasteful expenditure”. The Shareholder Management Bill, Minister Brown said in Johannesburg, will first need a concept paper (perhaps she means a White Paper) and such could be released after the February Cabinet Lekgotla in February, with an intention of introducing such as system by the end of 2016. Whilst it is pretty obvious who should not be on such an appointment team, the plan begs the question of will be chosen to occupy such critical posts but it is far too early to cogitate on this one. With Ministers changing their portfolios as if it was a game of musical chairs, there is reason to congratulate Minister Brown on the statement that she herself as a Minister would be excluded from making appointments in her own SOCs. During the same address, she added that Eskom was “not out of the woods” yet and there was still not sufficient electricity to facilitate economic growth, but the leadership issue was being addressed satisfactorily with the right people being appointed. Brown said none of the entities under her control “would be approaching the National Treasury with begging bowls”. Perhaps this is the principle being adopted behind the scenes with the SABC, which whilst not affecting business and industry other than travel costs, unlike trade and investment hurdles and industrial strategic changes, SABC is threatened by the possibility of being returned to its parent government department which at first glance appeared to be a move by President Zuma to gain control of state financed media, Mugabe style. However, in a broad sense it seems to be Minister Brown’s idea that appointments to the top echelons running the country should be as a result of finding those qualified to do so rather than being handled by totally unqualified persons, some with solicitous intent, and others trying to retain power with dubious appointments such as having friends, in the case of the SABC, to broadcast “the truth” to specific rural audiences. Unprincipled governance remains the one of the biggest problems facing South Africa, intrinsically coupled to (and in some cases causing} lack of growth and lack of jobs. Bad appointments by Ministers and of Ministers has been the cornerstone of control by patronage, the route for corruption and the reason for sheer bad management, a practice now openly exposed but not yet controlled by any means. From a parliamentary viewpoint, let us leave it there. The rest is being said by the media but most MPs when they return to Parliament in late January 2016 will have realized that sheer stupidity can ruin their own futures and their pensions. But if Minister Lynne Brown, in her practical and down to earth manner, can come up with the remarkable idea of Cabinet Ministers, hopefully including the Presidency as well, not interfering in who does what as far as expertise is concerned, then perhaps this can be applied to all 47 government departments and agencies. No doubt as far as confirmation of an appointment, the Minister involved may still have to “approve” such a decision but it is worth watching the outcome of the debate on the shortly-to-be tabled Broadcasting Bill, if only to see if the appointment of inept senior appointments can be halted or reversed. What has come out of the Eskom, PRASA and PetroSA issues is that a bad leader with no qualification or right to be in a position of leadership, or worse led by one who has supplied fraudulent qualifications, leads to frustration and anger by those with genuine skills and high academic qualifications lower down the ladder at the coalface. This is in the space of government service where technical skills are located and badly needed. We hope Minister Lynne Brown has more of these “eureka” moments. T ransnet is piloting an innovative rail wagon termed a “road railer” which can use both rail track and the road system, all in further efforts to recover its loss of haulage to the private road sector, enter new markets and to improve turnaround times. Addressing the Portfolio Committee on Public Enterprises on Transnet’s third quarter performance, Ravi Nair, Marketing and Operations Manager, said that this was one of the innovative pilot programmes in Transnet’s engineering facilities, which included also a flat rail wagon onto which private investors could invest with their own wagon specifications to meet tailored products hauled by Transnet rail. The meeting was specifically held to study Transnet’s road to rail strategy and progress. Matters regarding Passenger Rail Agency (PRASA) were not involved. Transnet, Ravi Nair said, were also introducing specialised wagons to meet the greater traffic needs of the automotive industry because of the introduction of SUVs and other wider bodied road vehicles, Ravi Nair said. The improvement of siding facilities for customers with necessary off loading equipment was also being undertaken as part of the general view taken of a strategy to improve the road to rail switch. It was noted that rail traffic with the automotive industry had greatly increased at the expense of road haulage. Nair said that on the whole there had been a 28% improvement in turnaround on the Durban/Gauteng line with an improvement in Duran harbour with new crane installations and container handling facilities. An average turnaround time of 23hrs had been reduced to 18hrs for the trip. Raisile Letibe of Transnet said that the City Deep terminal in Johannesburg was due for further investment in sidings, warehousing and equipment. Throughout Transnet, a principle had been adopted that where maintaining line and signalling that had gone way beyond its age and maintenance was a waste of money, all line, signalling and switching gear was being replaced if maintenance was deemed necessary. Approximately 450 new locomotives were starting to pass through Transnet’s new plant at Kodooesberg, Pretoria, this being GE and South China Railway (CSR) locomotives of which some 100 CSR type had already emerged. Only 10 were built by CSR in China during the training period. In mining terms, these locos will be able to improve a haul of 75 wagons up to 150 for magnetite, up to 200 wagons for manganese and probably double whatever was required with chrome, all possible according to the different class of locomotive used in the new range. The balance of Bombardier and China North locomotives will be built in Transnet’s Durban engineering works, taking the total number for Transnet freight haulage locos to well over 1,000. Transnet took advantage of a R50bn loan from China to conclude these contracts with the main operators and their BEE constituents, Transnet said. However, as things stood at present there was a general increase of 19% turnabout in mining haulage with increases for steel and cement, agriculture and bulk liquids and a major improvement in automotive products haulage and general manufacturing all recorded. A daily meeting was now held with the Passenger Railway Agency (PRASA) on frequency of needs for commuters and the need for haulage of goods on the same track and the system was working well. There was a common understanding on signalling use and track needs at certain hours in cities and to industrial areas. PRASA were also engaged on their massive development of commuter locomotives and carriages, or “trains” and the integration of both the needs of Transnet and PRASA were being satisfactorily co-ordinated, Transnet commented. Raisile Letibe said that R300m had been invested in branch lines to attempt to keep them in shape for concessionaires when the plan to privatise branch lines was finalised. He said that the matter of branch lines brought Transnet with into contact with many other bodies involved in developmental matters including agricultural development, SEZ planning and rural development generally. It was hoped to get the issue of the development of branch lines underway as soon as possible. Opposition members complained that this proposal was five or six years old. 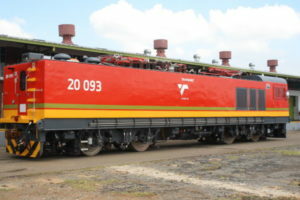 Under questioning, Transnet admitted that major “challenges” at the moment were breakdown of locomotives, all of which were now aged and parts had to be especially engineered a bought. Wagon availability was also a problem but both these “challenges” should be addressed by new rail stock. Industrial action and economic conditions contributed to the problems facing Transnet but to a lesser degree. 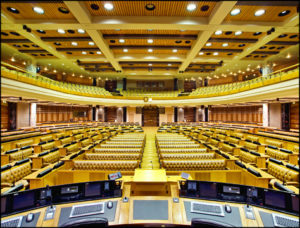 A warning was issued by Adv “Johnny” de Lange, chairman of the portfolio committee on water and environmental affairs, during a debate on the subject of National Environmental Management Coastal Management Bill, that nobody, including Transnet, could own seabed other than the nation itself and that he or his committee would not hear of counter-proposals to this fact. The subject of the debate was a briefing on the Bill was conducted by the department of water and environmental affairs (DWAF) prior to hearings from the public on the proposed changes. A major submission regarding ownership was known to be coming from Transnet regarding its installations at Durban port. 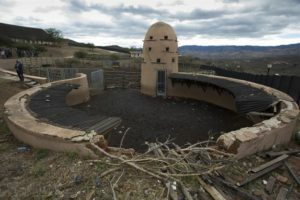 The Bill, said de Lange, was attempting to legislate on border or property issues dealing with the changing forces of nature, a fact which was always going to hit problems. 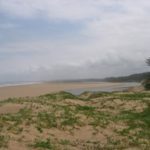 In defining an area of South Africa’s coastal waters so that a narrow strip of ecologically sensitive land and sea along the outline of the coast falls under the aegis and environmental control of the state, an attempt had been made legislatively and this, as suspected, had become an issue, he said. 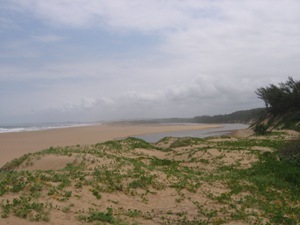 DWAF, as a result of previous committee meetings, had found the Bill rejected on a number of issues particularly involving state lines to be drawn up and affected by high tides, estuarine re-alignments and coastal degradation and the Bill was returned but not rejected for the purpose of re-writing definitions and re-wording various clauses. The Bill originally was put to public comment in November 2012, receiving 330 submissions on contentious issues that mainly involved the impact of the Bill on coastal state property, definitions that affected the rights of private owners and disagreements with the environmental objectives of the Bill. In a series of re-definitions proposed by Adv. Raznack of DWAF, such as removing reference to “water courses”; dealing with definitions of flood levels in terms of ten years phases; and re-defining estuaries issues on the basis of whether they are closed to the sea or not; a compromise set of definitions was put to the portfolio committee on water and environmental affairs. Canals, which may or may not have an ownership issue, carrying water to the sea were another issue under debate and answers appear to have been provided along lines how sea water backs up and the extent to which it backs up in the canal under question. Various re-definitions and wordings throughout the Bill are now proposed. The new proposals were queried by Adv. Gary Birch of the Western Cape provincial water and environmental affairs, who disagreed with the major re-definitions but who made in his submission with a number of counter-proposals on the wording regarding high-tide water marks. He pointed to the fact that whilst property lines on a river were generally regarded as being at a middle of a river, this could not apply to massive, changing estuarine areas and called for a new look at this problem, also making certain suggestions. These were found acceptable for discussion by the chair. Further suggestions by Prof. Jenny Whittall of University of the Western Cape, a renowned expert on such matters, were also taken on board by the portfolio committee with particular reference to estuarine areas. Adv. de Lange, the committee chairman considered all the inputs by experts particularly refreshing and useful, since he said he was sure that this Bill could be resolved shortly. When MPs raised the question that Transnet had various port structures that were on the sea bed falling under the ambit of the Bill, Adv. de Lange said he was prepared for this. Unlicensed pipeline operations a problem…. Commenting that the petroleum and gas industry did not seem to take licensing particularly seriously but the electricity industry did, Phindile Nzimande, CEO of the National Energy Regulator (NERSA), gave a characteristically outspoken report to the parliamentary committee on energy on NERSA’s strategic and plan until 2016. She noted that NERSA had investigated sixty seven suspected unlicensed activities in petroleum pipeline activity, only four of which were found to not require a licence. Thirteen petroleum storage licences were revoked. Nzimande said that NERSA found no reason to alter their five-year plan as originally submitted in 2012 and NERSA would continue with its mandate of transparency, neutrality, predictability and independence. It has been a busy year, she said, not the least of which was the extraordinary amount of work generated by Eskom tariff application, the national hearings process and the time involved in decision making. In the area of electricity generally, 183 municipal and private distributor tariffs were given approval and 47 energy generation licences granted. 9 distribution licences for connection facilities between Eskom and an independent power producer (IPP) were also granted. In piped gas, Nzimande told parliamentarians that the maximum prices for such were dealt with in regard to Sasol, this being the last year of the “maximum price” arrangement. In petroleum pipelines, the Transnet annual increase was set at 8.53%, again with much controversy, and decisions were made on 60 storage and loading facilities. There was still a major lack of credible gas anchor clients in piped gas, Nzimande said, nor was there an established and regular supply chain and serious competition, resulting in high prices for the poor. NERSA had much work to do in this area, she said, as far as compliance monitoring and enforcement was concerned. In the area of petroleum pipelines, Nzimande said the “prudency” investigation into the cost of the multi product Durban/Gauteng pipeline was a major undertaking and NERSA was also involved with Transnet on the issue of high port charges which had become a national issue. The security of supply of petroleum to inland areas was also a matter of deep concern, Nzimande said, and NERSA was “working with stakeholders”. When asked how NERSA was monitoring this she said the matter was very much up to the investors concerned but she was aware that department of energy “was grappling with the issue” and NERSA was closely following the matter which had to be taken in to consideration on pricing matters. On tariffs generally, Nzimande said a major issue facing NERSA was the legal issue of regulatory relationships with municipalities and their powers in respect of enforcing licensing and pricing structures. This was to be resolved shortly. When asked if Eskom would be allowed to re-visit the issue of their tariff structure finally allowed and appeal, Nzimande said that she could not say that that such a move could be excluded as a legal part of the multi-year price determination process. 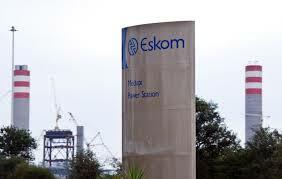 The chair excused her for answering questions on the Alstrom and Hitachi legal wrangle on the Medupi power plant currently under construction by Eskom but she acknowledged that NERSA was aware of Eskom’s problems and financing issues. When asked why NERSA and the structures of nuclear regulatory matters were not combined into one regulatory body, Nzimande replied that international agreements and the structure of the nuclear global industry was specific on this issue and required specific nuclear regulators with specific mandates for their own countries to be established. The work and relationships of a nuclear regulatory authority were very different, she said. She agreed with complaints regarding difficulties in the petroleum storage area and confirmed that the regulations may have to be re-written in this regard. She was specific that NERSA would look into the issue of tariffs for storage, since one member complained that the current high cost structures could well be acting as a disincentive to investment. In commenting on NERSA’s decision not to allow Transnet’s application for a 22.6% increase but instead hold this back to 8.5%, Dr Rob Crompton as pipeline regulator was starting a “prudency” review of the Durban/Gauteng fuel pipeline project in view of the fact that it was three years behind. It was unlikely to catch up and costs had escalated from an original R9.5bn in 2005 (at the last count in 2010) to R23.4bn. The the overrun was now into unknown realms, he said. Whilst Transnet has a network of 32 pipelines over 3,800km, the current new multi-product pipeline, or NMPP, has been giving headaches for some considerable time mainly due to its multifaceted product pumping nature. NERSA said that they were using the word “prudent” because they did not wish to jump to conclusions or make any assessments themselves until the project was complete. 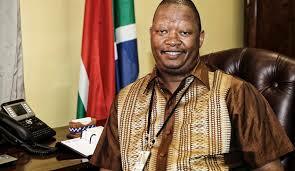 The minister of public enterprises has called for an investigation into the escalating costs, meanwhile. It was notable NERSA, as a whole, has to bear in mind that in the case of the Transnet application for a tariff increase the application was for one year only not multi-year. The worrying factor to NERSA, Rob Crompton said, was that volumes carried on the pipeline were declining – a lot of which was due to the fact that whilst some six grades of petrol, two diesel and also biofuels were carried, there also came a major complication with high and low sulphur content diesel where special tanks and road haulage had to be used. As an outsider, Dr Crompton said that NERSA could see that Transnet had been asked to quadruple its assets but there had been no injection of capital with the result that Transnet seemed to be building on a “pay as you go “ principle, raising capital where necessary. This was far from satisfactory, he said. NERSA said that of the nearly thirty items that went to make up the petrol price structure in South Africa, from road accident funding to wholesale margins, only about 16% of the price came in “administered prices” and NERSA, in establishing their views, had only studied one element of this. He said that in studying Transnet’s application and finally setting a much lower figure, a balance had to be found between the principle adopted of “user pays”, in other words the motorist, and Transnet being able to “claw back” unspent sums or altering over-charged budgets. It was noted, however, that Transnet forecast a 4.6% increase in volumes in 2013/14 and that the tank storage projects at either end of the line should be finished shortly. NERSA said it was trying to work with the department of energy to get consistent regulations on the whole, or at least a lot more parts, of the entire cost structure but it was unlikely as things stood whether pipeline tariffs would become “multi-year” to assist in longer term planning from what could be seen. Parliamentarians were complimentary to the NERSA staff on their diligence and producing a result which had helped the consumer in difficult times. 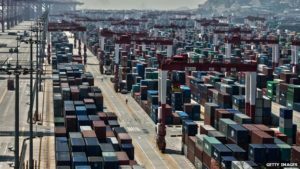 Transnet port charges far too high….. Escalating administered prices in SA’s manufacturing system including port charges that were amongst the highest in the world were amongst the subjects discussed during a colloquiun called by Parliament’s portfolio committee on trade and industry. The meeting was called by Joan Fubbs, the PC trade and industry’s chair and in responding director general of department of trade and industry (DTI) Lionel October said these high costs pointed at Transnet were undoubtedly coupled with “significant logistical inefficiencies” to form a major reason for the country’s inability to compete in global export markets. 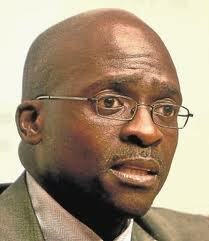 Transnet’s tariffs were far too high, he said and were contributing to high import costs in most sectors. He said there were some successes recorded recently, such as South Africa being high on the list of best places to invest in automobile assembly plants, but decreased demand from traditional trading partners, coupled with the fact that “container and automotive cargo owners faced price premiums of between 710% and 874% above the global norm. “Such facts were leaving South Africa as an uncompetitive nation”, he said. During a rigorous and frank debate on the multiple shocks facing manufacturing in South Africa, which were stated as ranging from rising electricity prices to the costs involved as a result of unstable labour-relations, a gathering of Eskom officials, Transnet executives, South African Local Government (SALGA) representatives, the electricity regulator NERSA, and the department of trade and industry (DTI) gathered to debate the current picture facing the SA manufacturing sector under the chairmanship of Parliament’s trade and industry portfolio committee. In addition to existing other and well established problems in the electricity transmission and generation area, DTI’s deputy director Garth Strachan, weighed in saying that there were complete anomalies in tariffs charged either to members of the same sector of industry and to manufacturing plants existing next door to each other. Strachan said DTI had examples where one manufacturer was facing certain price increases in electricity and another factory “right across the street” was paying a tariff more than double. He said that whilst global recession might have played a part in the current negative situation mostly arising from “bunched up” administrative prices from state utilities, some thinking “outside of the box” was now called for if South African manufacturing was to gain any traction and contribute to growth in a meaningful manner, thus creating more jobs. Returning to the high port cost issue, Strachan said that Cape Town, Port Elizabeth and Durban port terminals had the dubious honour of following Charleston, Baltimore and New York, as the top high-cost terminals worldwide, mainly as a result of excessive cargo dues charged. 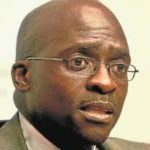 Returning to electricity charges, he concluded by saying that one of the biggest problems facing South African consumers was the considerable publicity given to the NERSA announcement that Eskom had been restricted to an 8% hike, which had given the impression to consumers that “this was the end of the story”. Yet manufacturers still had to face up to municipal mark-ups, he said, both in the case of urban and peri-urban situations, a matter which had not been discussed on a national basis nor any guidelines established. On the matter of port charges, Transnet’s Mohammed Abdool said Transnet was applying to the ports regulator for a complete re-structuring of tariffs applying to containers, dry bulk goods and manufactured and beneficiated goods. He said a complete “rethink” on the objective of encouraging the export of beneficiated goods had taken place, coupled with the principle that Transnet would move from becoming one of the lowest rental charging landlords in the world by re-aligning its land based rentals by upwards of 46%. Abdool said the new suggestions would result in up to 43% reductions in total port revenues for containers, whilst dry bulk exporters would go from a current 18% contribution to about 33%. All this from April next year which was given as a possible starting date. Still on price hikes and specifically on electricity mark-ups, NERSA responded to DTI comments and confirmed that it was obligatory for Eskom not go above the 8% allowed but that agreed limits would be allowed for each municipality or local authority as per agreement made or being made. No deviations would be tolerated and the case brought forward by DTI of two adjacent manufactures with vastly differing electricity rates would be investigated. Touching up the recent decision to fix the Eskom price at 8% increase, NERSA said that in their view it was not correct for South African consumers to pay for massive reserves and financial safety margins on Eskom’s balance sheet and that Eskom should be run like any other state utility in an atmosphere of total adherence to the principle that where costs are concerned the interests of the consumer must be borne in mind. Joan Fubbs, chair of the committee, then sought a verbal pronouncement by SALGA to all present into Parliament, both stakeholders and members, that no deviations from the NERSA allowances to be agreed as reasonable mark-ups by their members would be accommodated by SALGA. SALGA spokesperson, Mthobeli Kholisa, in charge of infrastructure development, said there was no other system in place in most local authorities to pay for such items as street lighting, pumping of water services or handling of waste facilities. However, such an undertaking was given by him. Eskom presentations added little that was new to the situation, other than spokesperson for Eskom, Hillary Joffe, said that Eskom was “reserving its comments” on the situation until it had re-studied the entire financial situation but asked for an inter-governmental task team to be set up to align municipal tariffs and called for a plan to ensure that municipalities had sufficient fiscal support to maintain infrastructure and essential social services in the long term. On the rising costs of fuel prices, department of energy’s deputy director general, Tseliso Maqubela, said that oil and gas exploration would play a large part in South Africa’s energy future but that the unseen and hidden player in South Africa’s structural and economic future remained the economic giant China. With vast reserves of cheap coal, China had not yet entered the market, he said, and when this occurred it would amount to a “game changer” in every respect, affecting not just the energy scenario for South Africa. On prices generally, he said that things were looking better for April but that oil and gas prices were long-term issues in general and current factors at play would not affect the situation in the short term. He said exploration would probably would remain, by and large, in the hands of private ventures for years to come. He said that the costs of exploring for oil using one rig could amount to US$1m to 3m for one day alone and “that kind of money does not come easily to a state utility”. Maquebela said that the country owed the present private owned refineries much as they stabilized the chemical industry and saved much in imports but warned that they also faced enormous recapitalization costs in the near future. Focus still on sensitive areas…. Cabinet has now finally approved the National Environmental Management: Integrated Coastal Management Amendment Bill for submission to Parliament, the new draft on coastal environment management now clearly seeking to clarify the protection of the sea and the sea-bed without limiting the functions of other organs of the state in performing their duties. The bill also aims to support the sustainable management of the coastal environment as was proposed in the original drafts and the 1999 White Paper on the subject but the final Bill is yet to be seen based on what has been accepted by cabinet for tabling in Parliament. Other issues concerned dumping of waste and permits to do so and penalties and fines for matters related to environmental laws in general. In general debate and public hearings the unintended consequences became quite evident insofar that during 2012 Transnet and the department of environmental affairs reached an agreement both anchor legislation and any subsequent amendments did not have the unintended effect of the state appropriating all the port assets of the National Ports Authority below the high water market – including the breakwaters‚ entrance channels‚ turning basins and quay walls – estimated to have a value of R46bn. Such an appropriation posed a material threat to Transnet’s business‚ port operations‚ loan agreements‚ capital investments and financial position. This presumably caused not only precedent but a change in thinking as to what exactly what was possible and what was not, insofar as an intended line for appropriation based on inland geo markers was concerned. Areas that are excluded include reclaimed land above the high water mark and any immovable structure or part of such a structure (including harbours and harbour installations) above the high water mark, unless inside the admiralty reserve. Penalties and fines are still included and so are matters regarding dumping. 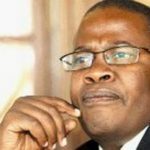 Brian Molefe, CEO of Transnet, went before the portfolio committee on transport regarding the utility’s annual financials and reported that cash generated from operations was up 24% to R18.3bn for 2011/12, being the year under review, and that the Transnet balance sheet recorded a profit of R4.1bn, Transfreight Rail providing around half the revenue. Mostly importantly he advised (9/10/2012) that in the light of the strong balance sheet, Transnet would be able to borrow for future capital expansion without government guarantees. On the subject of freight improvements he said that coal freight for 2011/12 was up 8.8%, iron ore was up 13.2%, and gross tonnes per kilometre productivity was improved by 1%. Although maritime container volumes had increased, Molefe said, Pier 2 in Durban had experienced a decline during the current refurbishment period, new cranes having been ordered to improve the position. Karl Socikwa, Transnet Port Terminals, however, told parliamentarians that productivity issues with Durban container terminal in general was improving and that the “the dwell time of ships were now three to four days.” With the replacement of cranes now being undertaken “Pier 2 was basically a construction site at present”, he said. In his general report, CEO Molefe said that petroleum volumes decreased by 7.1% because of “industry supply problems” and the Durban – Johannesburg pipeline usage decreased by 8.8%. On equity issues he said that the Transnet workforce was currently made up of 78.5% blacks and 21.5% whites with 78% being males and 22% being females and that the human resources division would take on sixty engineering trainees, 181 technician trainees and 854 artisan trainees. Training accounted for 3.9% of personnel costs. The total number of employers was 50 992 which pushed up the total employed by 6.6%. On the subject of reduced revenue experienced by Transnet Pipelines for the period 2011/12, Charl Möller, chief executive, said much of the slowdown in volumes passing through what was known as NMPP was mainly as a result of the slowdown in economic activity; various market changes; improved fuel efficiency and the introduction of Gautrain. Anoj Singh, acting chief financial officer, Transnet, earlier this month, told the portfolio committeethat the rail containers portion of its business was of “ significant focus” and volumes increased by 13.2%, and market share increased to 34%, representing a significant shift from road to rail. Its general freight business grew by 2.2%, despite a loss of volumes due to industrial action, cable theft and rolling stock related faults. Overall productivity and service were of concern, Singh noted, and delivery turnarounds had deteriorated from the prior year, but measures have been promised and now put in place to turn that around. Domestic coal volumes grew by 12.4% despite operational challenges and a key focus area for the next five years was to meet Eskom’s domestic coal requirements. Magnetite volumes increased by 3.7 and export manganese volumes increased by 23.1% compared to the prior year. CEO, Brian Molefe, said that export coal volumes (62mt) reflected marginal growth, but overall productivity and service delivery deteriorated from the prior year, mainly due to the impact of industrial action as well as rail infrastructure problems and operational challenges. Export iron ore volumes (46.2mt) increased by 3.4% despite an unprecedented number of derailments that resulted in lost volumes and impacted on operational performance levels. Ship loading rates increased at 9.7%, due to the successful implementation of dual and staggered ship loading process installed at the Transnet iron ore terminal . Concerns were raised by parliamentarians regarding on-time departures and arrivals of freight and their impact on productivity and efficiency, noting that the number of delays had risen according to figures presented. Mr Molefe responded that the general freight business, by and large, had improved dramatically over the past year. There was a 7.5% increase in containers on rail last year and, for the first time in the history of Transnet, more than 200 million tons of commodities were transported by rail. Over the next seven years, R200 billion of the R300 billion that Transnet was spending on capex would be going into rail. There was a 1.5% increase in petroleum volumes from the prior year, despite the constraints presented by the existing Durban-Johannesburg pipeline and Transnet spent R21.5 billion on capital investment, with the biggest portion in the rail and pipeline sectors. 94% of the planned spending was achieved. MPs asked what the future plans were for the Port of Ngqura, and how the Eastern Cape would benefit from that. Molefe responded that there had been a decision to establish a manganese terminal at the Port of Ngqura, with a budget of R300 million. 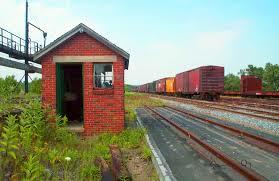 This would be developed as the transhipment hub. Manganese was currently exported through Port Elizabeth, but would be moved to Ngqura. Cranes and equipment were bought, and paving was finished. Transnet had recently negotiated more transhipment traffic for the Port of Ngqura from Europe. Brian Molefe said that in order to foil piracy off Somalia, some of the larger world sea vessels, consuming a great deal more fuel to do so, were travelling at high speeds using a Mediterranean Sea to South Africa route direct and reaching the safety of South African waters with its defence frigates and aircraft, to the benefit of SA port facilities. MPs asked the reason for the decrease in revenue in the pipeline division in 2010/1, which was some 2%. Molefe responded saying this was largely because of industry issues and that Transnet had received less revenue than projected but that the “pipeline was ready, commissioned and functioning very well” and the situation would soon reverse. In a subsequent meeting with parliamentarians of the portfolio committee on economic affairs, CEO Brain Molefe warned that changing Transnet’s asset base by selling of assets would change its gearing and thus its ability to finance its expansion plans. 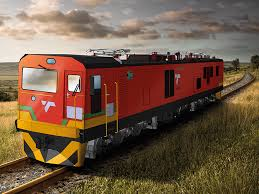 He referred again to the restructuring of the general freight business which depending upon its ability to borrow funds and said that any plans to break up Transnet so that it became an operator competing with the private sector on certain sections of line were to be rejected, he said. Molefe noted that already South Africa’s freight volumes were threatened by the euro-crisis and Transnet could not absorb this and any other threats, such as reducing its asset base “if it was to continue without re-negotiating with its lenders.” The general freight business of Transnet, which depended upon its ability to borrow funds, said Molefe, was at a critical stage that any plans to break up Transnet so that it became an operator competing with the private sector on certain sections of line were to be rejected. 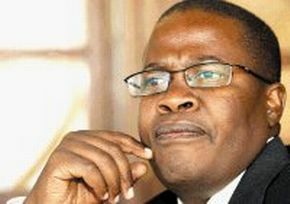 Brian Molefe, CEO of Transnet, told his audience at opening of the 550 kilometre multi-product fuel pipeline between Durban and Johannesburg that the cost of the new installation “will have to be recovered”. In his opinion, the new pipeline “was one of the most cutting-edge and innovative infrastructure investments in the world”, the cost involved being given at R23.4bn at this stage, he said. It is understood that Transnet has applied to NERSA for a further 22% increase in tariff charges for the coming year, according to reports. Last year’s tariff increase for fuel pumped is understood to have been just short of 60%. January 2012 has seen the new installation working alongside the older pipeline but the new line is only configured for diesel at this stage, with limited pumping facilities along its length. Coming on top of a recent 43c per litre fuel price increase and the minister’s November call for “an audit” into refinery shortages, both fuel and electricity supply problems would seem to be moving in the same dismal direction leaving government and suppliers further apart. On an up-beat note, Molefe told his audience that “the state-of-the-art pipeline” would also transport 93 and 95 octane petrol, low sulphur and ultralow sulphur diesel and jet fuel at a rate of “about three-million litres an hour”. He said that eventually the capacity of the line was expected to be in the region of 26.7-billion litres of fuel a year. Transnet pipelines head Charl Möller said the new pipeline would be upgraded in five phases up to 2032 as more pumping stations and metering points were added.